Is extreme weather related to Climate Change? Extreme weather is increasing in the United States and around the world. How is this trend related to climate change? Several climate factors influenced both the strength of the storm and its devastating impact. The New York City subway system was built about 110 years ago. During that period mean sea level has risen about a foot on the eastern seaboard, because one of the effects of climate change has been to warm the oceans and start the melt of some ice-sheets. The strong long-lasting northeasterly winds from the storm, blowing towards the coast, generated a record storm surge of over 13 feet at high tide, which flooded the south end of Manhattan and many subway tunnels. On the New Jersey shore, the storm surge and damaging waves severely damaged many communities. Strong winds brought down trees and power lines across the Northeast, leaving nearly eight million customers without power. The intensity of the storm was amplified by Gulf Stream temperatures that were as much as 5 degrees above normal. In high winds and at warmer temperatures, more water evaporates, moistening the atmosphere. The rising moisture condenses in thunderstorms, which release the tremendous heat of condensation and produce torrential rain – some coastal areas saw as much as eight inches of rain. This huge energy release intensifies the storm, its winds and the storm surge further. The warmer ocean temperatures that play a key role in this amplification are partly caused by the ocean circulations in the Atlantic and also by the warming of the oceans as they absorb the extra energy that the Earth cannot radiate to space because of increasing greenhouse gases in the atmosphere. Most hurricanes that track northward up the eastern seaboard curve towards the east, as they are steered by the westerly flow in the middle atmosphere. Sandy followed a typical track northward but then turned sharply to the northwest into the New Jersey shore, steered by an unusual atmospheric circulation. A strong blocking high pressure off the Greenland coast and a high-amplitude wave in the jet stream prevented Sandy from turning northeast. These conditions may be related to the warming of the Arctic, which is changing the winds in the northern hemisphere. There was record Arctic sea-ice melt this fall. But these changes in weather patterns are still so new and the atmosphere so complex that it will take several more years of research to get a fuller picture. Fortunately the European weather forecast model had correctly predicted Sandy’s unusual track a week ahead, giving local communities and government agencies ample warning to prepare. Unfortunately some preparations take longer than a week. The storm surge from tropical storm Irene in August 2011 came within a foot of flooding the tunnels at the south end of Manhattan, making the storm risk to the subway system apparent. But sadly this warning was ignored. Sea level is expected to rise three to five feet this century as ice sheets continue to melt in a warming climate. Unless we move away from a fossil fuel economy, this rise will continue to accelerate for centuries. A major storm like Sandy shows how much of the coastal zones are vulnerable to flooding. In the short term, building resilience into our coastal infrastructure will buy us a decade or two. But we will have to face the unpopular reality that we cannot long protect homes built on coastal shorelines, especially the barrier islands. In the longer term, the costs from ongoing climate change to human society become unimaginably large – estimates exceed $1000 trillion – and the costs to the Earth’s ecosystems are incalculable. Wise risk management would spend the far smaller sum needed to transform our society into an efficient one, powered largely by renewable energy. We can learn directly from catastrophes. Rebuilding following Irene has drawn our communities together and catalyzed a statewide reappraisal of how we could better manage our rivers and flood plains in preparation for more frequent extreme rain events in the coming decades. Perhaps if enough of us speak up at the grassroots level President Obama will appreciate these truths also, and start to realign the government and our energy system with the realities of the natural world — rather than the interests of the fossil fuel economy. This process will take a generation, and we must start now. 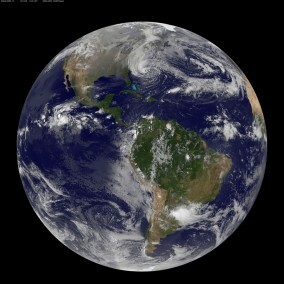 Figure 1: Hurricane Sandy coming up the east coast.